There are multiple departure times, the earliest is 8 am and the latest is around 4 pm. We are comparing Last Supper Skip-the-Line and Best of Milan Tour Prices from leading ticket suppliers and Try to find you Cheap tickets prices on the market. 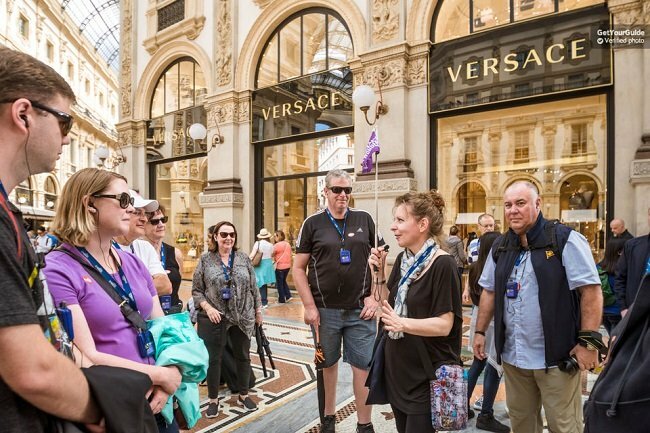 If your stay in Milan is short then this Best of Milan Tour is a fantastic way to see and experience this city's varied personality as well as having a first hand audience with one of the Italy's best known renaissance artworks. You will either visit ‘The Last Supper' at the beginning or end of your tour, there's no wasting time as you'll be fast-tracked to the front of the queue. Once inside you'll have 15 minutes to view the painting and your guide will provide the historical details and answer any questions. Back on the streets you will be led away from Milan's busy roads and into the bohemian streets of Brera District, home to a range of unique coffee shops and contemporary art galleries. You'll also pass by Sforza Castle, La Scala Theatre, the fashion packed Galleria Vittorio Emanuele II and, of course, Milan Duomo. This tour is aimed at people who want to see the highlight of the city with a short half-day tour. The tour combines a comprehensive city walking tour through central Milan with a trip to The Last Supper exhibition. Great for history and art enthusiast or fist time visitors in Rome. Your Experience With Last Supper Skip-the-Line and Best of Milan Tour? Combine a visit to Leonardo da Vinci legendary renaissance memorial, with an informative guided walking tour to some of Milan's most iconic buildings and quirky neighbourhoods. Learn the stories behind the world's unofficial capital of fashion from an English speaking local guide. Begin/end your tour at the Church of Santa Maria Delle Grazie and skip the line to see ‘The Last Supper'. What Last Supper Skip-the-Line and Best of Milan Tour Includes? Skip the Line entrance to ‘The Last Supper' painting, by Leonardo da Vinci. Audio guides (for groups of 10+). We recommend booking the earliest departure time during the summer months, this way you can enjoy less crowded attractions and a more comfortable temperature. Travelers Reviews about Last Supper Skip-the-Line and Best of Milan Tour? Comments agree that this tour is well worth the money. Reviews say that the tour guides are enthusiastic and funny. The Best of Milan Tour has 4.7 out of 5-stars on Get Your Guide, 4.5 on Viator and 4.5 on TripAdvisor. Parts of this tour may not be suitable for wheelchairs or prams. Tickets are refundable but fees may apply for cancellations made less than 1 week in advance. Clothing: comfortable walking shoes are recommended and long sleeves and trousers should be worn to enter any churches. Milan Duomo is closed on Sunday mornings.